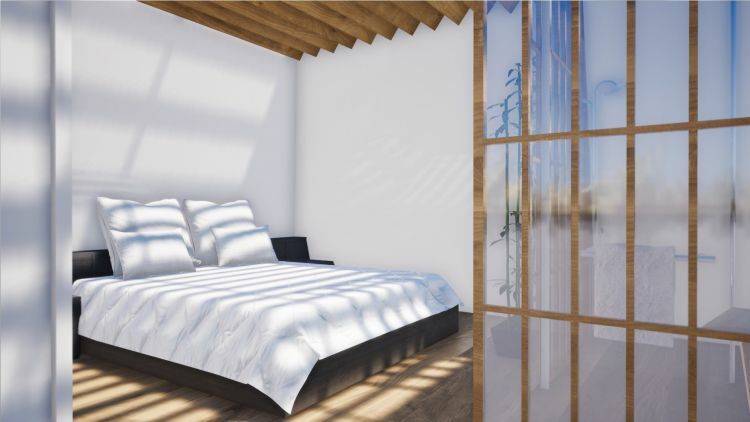 Situated on a Victorian street in West Hampstead, this project sees the replacement of the existing garage space with a contemporary single residence. 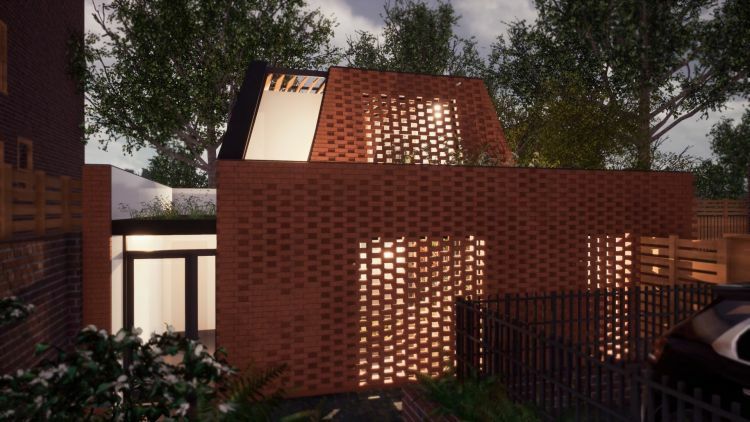 The design consists of a brick surface that wraps around the usable spaces and, in a spiral form, raises itself to create a second storey that accommodates sleeping quarters. 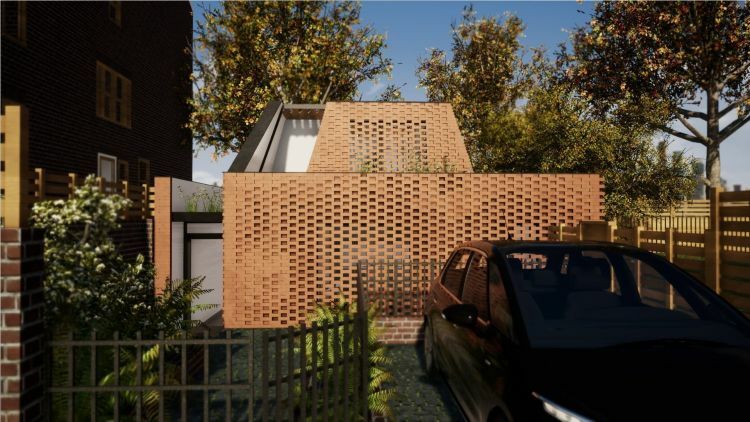 This brick façade communicates with the environment through varying degrees of perforation; allowing air flow, light and outlook while keeping privacy. 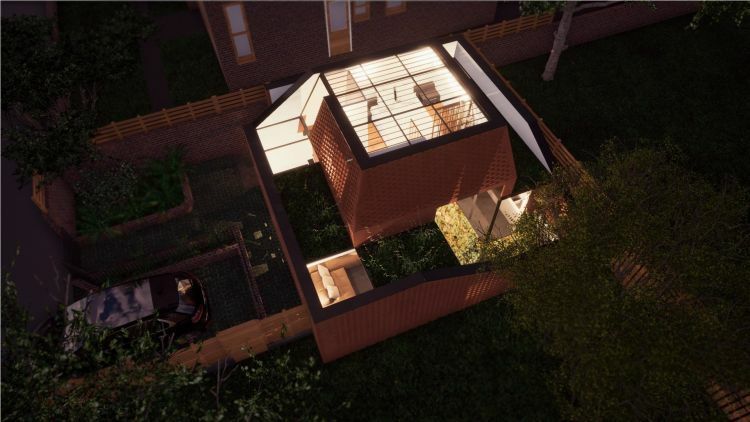 The proposal is considerate of the close proximities to the public footpath and highway and the infill nature of the site. 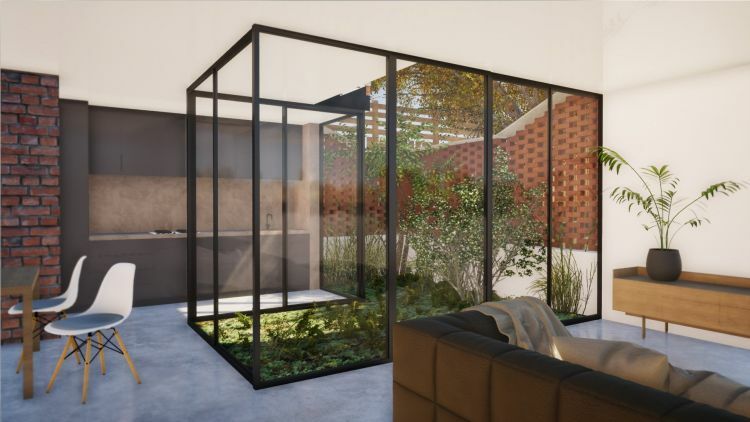 The ground floor lays the living areas in a broken plan manner, introducing the open space with an indoor-outdoor connection. 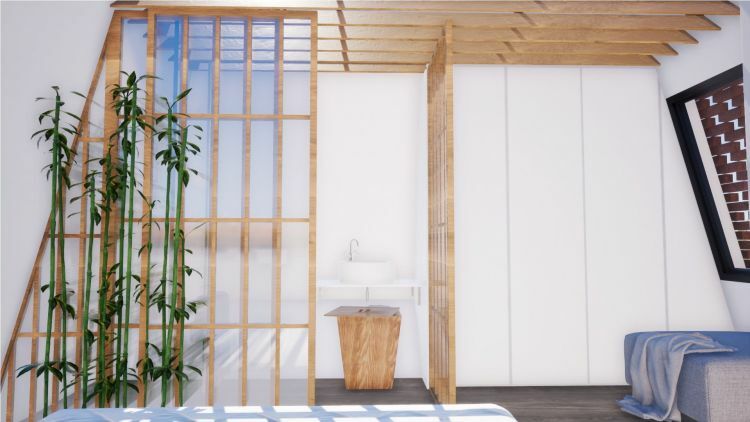 The new house integrates passive sustainability features, naturally regulating temperature and comfort through the use of carefully placed openings and solar panels generating electricity on site.